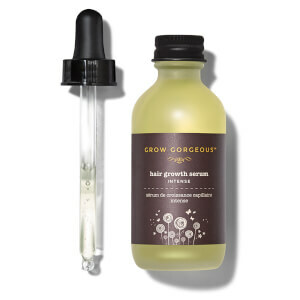 Restore thin, weak and lifeless locks back to their full potential with Grow Gorgeous’ Thinning Hair Rescue; a concentrated regime that combines the brand’s three best-selling products for combatting thinning and hair loss. Housed in a chic bag, the travel-friendly trio work in tandem to improve density, fullness and thickness leaving you with lustrous, healthy-looking tresses. An ultra-concentrated formula infused with Amino Acids, Biotin, Caffeine and B-Vitamins to visibly increase density of hair, whilst advanced technology supports the follicles to promote healthy-looking locks. Delivering gentle, yet effective cleansing to prevent damage to hair, the shampoo is ideal for slow-growing and thinning hair, or for weak fibres in need of strengthening and repair. Suitable for all hair types, including colour-treated, you can expect denser, fuller locks. An advanced formula that works to encourage enviably thick locks. 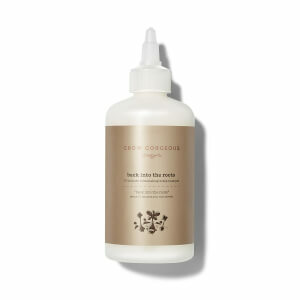 Ideal for fine hair types, the conditioner aims to combat thinning and works on all hair types, including colour-treated. Effortlessly gliding onto damp locks, the silky conditioning formula is enriched with an innovative form of Hyaluronic Acid, which is blended with Amino Acids, Biotin and B-Vitamins in order to address thinning hair and leave tresses soft, smooth and flake-free. The hair-loving combination of ingredients works tirelessly to stimulate hair follicles and promote a full and dense looking finish.